Variety is important and if you are shopping for multiple gift baskets on the same site, you want as big of an inventory as possible. 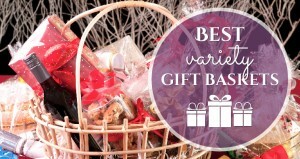 While most gift basket companies have a hearty selection, some can be too generic – leaving you with little options for finding that unique, fun gift basket that really speaks to your recipient. We have selected five gift basket merchants that we feel offer the best variety – so you could literally shop for everyone on your list without having to jump from site to site. Most people hear “Harry & David” and think about a fruit of the month club – but there is so much more to Harry & David than their fruits. In fact, they have one of the largest selections of gift baskets that you can send to family and friends. While there are companies out there with possibly larger inventories, they are rated #1 by us because of their pricing and quality as well. They don’t stuff their baskets with random products or sample sizes and charge full-size prices. Instead, they stick to items your recipients will actually appreciate and you won’t feel short changed over. When it comes to variety, you could easily shop for everyone on your list (whether for personal or corporate) at Harry & David. Their baskets are easily categorized on the site by products, holidays, occasions and even specialty items – such as gluten-free, organic, sugar-free and Kosher. You can find baskets full of wine, charcuterie, fine chocolates and coffees and even baskets full of their signature fruits and cheeses. Harry & David have quite a few baskets that are eligible for free shipping and even those that aren’t come at a reasonable price. Most of their gift baskets are priced reasonably considering the quality of products they contain and you can find plenty of gift baskets for under $100. Don’t forget their monthly clubs! Want to give something that keeps on giving? Harry & David has quite a few monthly club options, including their chocolate of the month club and coffee of the month club (which we’ve reviewed right here on Revuezzle). The selection on GiftBasket.com will make it easy (possibly even overwhelming) to find what you need for more than one recipient. Even if you are shopping for just one person, their selection gives you more than enough options. From their gourmet wine baskets and fun themes to their holiday gift baskets, gourmet foods and even non-edible baskets, you will easily find what you are looking for. Their site is well-organized too – so you can shop by the type of gift basket, recipient (such as him, her, kids, etc.) or even the price. If you are looking for a last-minute gift, GiftBasket.com does offer last minute baskets that come with faster shipping options. When ordering the same gift basket for multiple people, you can fill out the spreadsheet and place your order at once. 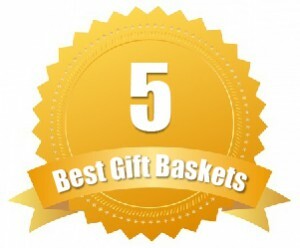 Prices on GiftBasket.com will range from under $50 to well over $300. It all depends on your budget. If you are buying several baskets, you will find quite a few under $50 to stick to a budget. Don’t forget to look at their luxury gifts too. In addition to their luxury gift baskets, they also have home décor items that include wine oak barrel lazy Susan’s and even wine tasting notebooks perfect for your next wine party. 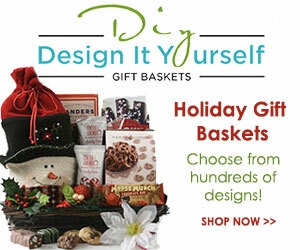 Design It Yourself is all about creating a customized gift basket experience. While you can design your own, they do also have a large inventory of baskets premade and ready to ship. The site is easily organized so that you can browse just all of the options they have. You can choose from occasions and sentiments, search by specialty themes (such as fishing, diaper cakes, golfing, gardening, etc. ), shop by gourmet gifts only, recipient type and even their best sellers. Their gift baskets include everything from handmade chocolates, caramel apples, wine, champagne, coffees, and plenty of non-edible items. They have some of the funnest themes and even include baskets you cannot find elsewhere – for maximum variety. They even have margarita, k-cup, Texas, Starbucks, grilling and BBQ, food and breakfast gift baskets to choose from. Baskets with Design It Yourself will range from less than $40 to over $200. They offer next day and same day delivery to Houston metro addresses, but after that ground shipping starts at $11.99. Want to save a little extra on your basket? Design It Yourself has specials and even free shipping for specific promotions. If you check their specials section, you might find deep discounts on some great gourmet baskets. A gift basket merchant with a large selection and fine wines. Make that gift basket you order extra special by ordering from Great Arrivals. Great Arrivals has plenty of gift baskets to choose from – including wine and gourmet gifts. Their website is categorized and organized so that you can easily find the gift baskets you’re looking for. 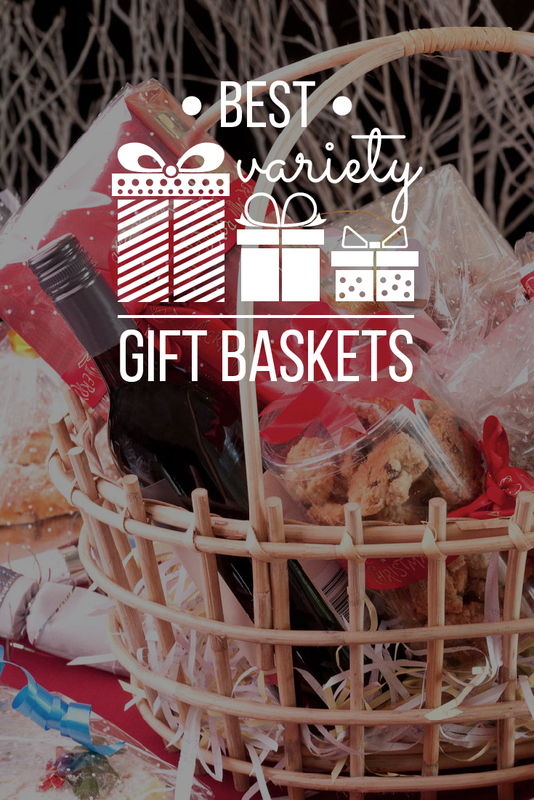 They have gift baskets that are holiday-themed, corporate gift-ready, wine filled, etc. They also have gourmet gift baskets that include cheese, chocolate, diet and health products, Kosher products, snacks and even teas. You can also hunt down non-edible gift baskets so that you don’t have to worry about sending something perishable or search for a gift by the recipient – they even have baskets for your furry friends. The best part is you will save with shipping, because Great Arrivals offers free ground shipping on all of their gift baskets. The prices with Great Arrivals are reasonable, especially if you are shopping for more than one recipient on a single website. Most of their baskets are under $100 and offer great products inside – but you can shop well over $200 if you find something extra special. Go with a gift certificate instead! Can’t decide? 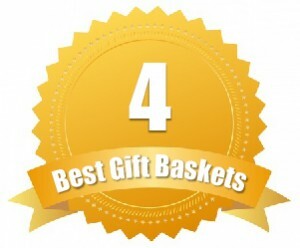 Then you can purchase a gift certificate from Great Arrivals and let your recipients pick out which baskets work best for them – no guesswork required. Baskets with the flavors and inspiration of Napa Valley. Send the gift of Wine Country (you know…Napa Valley). Wine Country Gift Baskets may seem like they wouldn’t have a lot in terms of variety, but you will be pleasantly surprised at what they have in stock and ready to order. Plus, they are unique and offer Napa Valley products that other gift basket merchants cannot include – so you have the opportunity to get what you want and still impress your recipients. They have plenty of gourmet gift baskets to choose from, including holiday-themed baskets, sentiment-ready baskets, sweets, coffees, teas, cocoa, chocolate, gourmet foods, fresh fruit and of course, wine. When it comes to wine, their baskets often contain anywhere from one to five bottles of wine – and some include full-size wine bottles too. You will be surprised at the pricing for Wine Country Gift Baskets – with some well under $100. You can even find wine gift baskets (with up to four bottles) for under $150. Some baskets do come with free shipping, while others start at $10 for ground. Get extra deals with the deal of the day. Wine Country Gift Baskets does have their deal of the day category where you can find a gift basket with a deep discount and sometimes even free shipping.